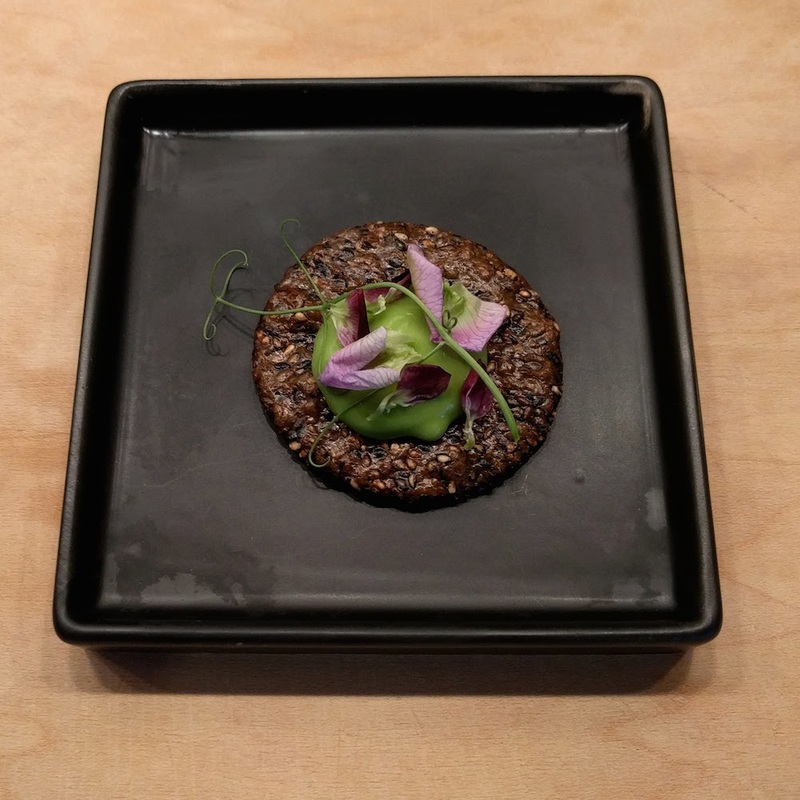 Peas are at their peak in springtime, and this is a single-bite cracker meant to be served as the very first bite of a long menu. The cracker is crunchy and a bit salty, and the puree adds a creamy counterbalance. Pea vines and flower petals from the farmer's market make it beautiful; if you like you can also top it with blanched fresh peas. I used black sesame tamari crackers from Whole Foods, but any cracker will work here. I recommend avoiding strongly-flavored things like Parmesan chips as they can overpower the peas. Add a dollop of pea puree to each cracker, and top with the pea sprouts and flower petals. Serve.